Instructors - Voted Best Yoga Studio in Sarasota! Bonnie Brown: Bonnie Brown of Outward Spiral teaches our Hoop Dance Beginners' Series at Rosemary Court. She brings her passion for dance and movement to a very meditational practice. One of Bonnie's qualities as an instructor is to intuit what is needed for each class. She comes to the space with an open mind and heart to fulfill what the class needs. Her practice is focused on a grounding balance while opening the heart, opening the mind, and letting go of any constraints. In other words, having a balanced energy flow of give and take, for not only the individual, but the the entire class. Jessica Burton: Jessica is from Southern California where she began her yoga journey. After studying psychology and anthropology at the University of South Florida, she soon fell in love with CrossFit and managed a local gym up until having her daughter in 2016. She is a believer in the healing power of sweat and movement. With a goal to share her love of yoga, she completed her 200-hour yoga teacher training from The Yoga Shack, The Yoga Professional and then furthered her studies by completing a Prenatal Yoga Teacher Training. She will guide you through both athletic and meditative classes. Jessica is also passionate about postpartum care and the nuances of teaching individuals from all walks of life. Teaching both prenatal and postnatal classes, she will share ways to prepare your body for birth and assist with healing after. Her hope is to help guide you to a place where you leave class feeling clear, energized, and centered. Brittany Carter: Brittany has a lifelong background in dance. She knew since she was 3 that movement would be very important for her journey. She has been practicing yoga and pilates for 10 years, but her love affair with yoga truly began before her four-month voyage through Southeast Asia, studying Buddhism, Hinduism, yoga, meditation and living life with yogic values. She sat in two silent Vipassana meditation retreats in Thailand, looking inward and uncovering immense peace. She studied a large variety of yoga styles in Indonesia, from restorative to aerial to Iyengar. Yoga and meditation became the vehicles for her connection to something higher within and without. She has just returned from two months in India where she completed her 200 hour Yoga Teacher Training in Rishikesh in Ashtanga and Vinyasa lineages. She wishes to combine the strength and specificity of yoga with the fluidity and freedom of dance. Brittany's classes are unique, alignment based, and intuitively led. Her goal is to help reconnect others with their own bodies and discover the wisdom that is literally under their noses. refreshed, uplifted, and more connected to the best version of themselves. Kym is currently undergoing her 500-hour training, with a final completion date at the end of 2018. ​Jamie Coffey: Jamie Coffey’s yoga is truly inspired by the word itself – yoga translates to yoke, unite, or connect—and she is dedicated to connecting both the body and breath with the mind and spirit. Further, her mission is to reconnect people with their truest nature and bliss through the practice, and to connect human beings with one another in amazing places around the globe. Bringing decades of experience to the mat, Jamie’s integrated technique infuses humor and spirituality with alignment and flow in a very unique and light-hearted way. Steeped in the lineages of Hatha and Vinyasa, she simply strives to instill compassion for all as we share this human experience as spiritual beings – or what she calls “making space for grace”. You can connect with Jamie and learn more about her retreats and workshops at www.behummingbird.com. Stephanie Cole: Formerly a certified personal trainer and nutritional consultant, Stephanie has been in the fitness industry since 1993. Her yoga journey, which began in 2001, has included Ashtanga, Vinyasa, Yin, and Bikram traditions. Her dedicated practice and further studies led her to become a certified yoga teacher, registered with the Yoga Alliance, in 2005. She expanded her certifications to include Aerial Yoga in 2011. Her teaching is most influenced by Kino McGregor, Govinda Kai, and Sarah Powers. She takes these teachings, and others, and blends them with her own caring style for a wonderful yoga experience. The joy and lightness she creates in the room is her beautiful parting gift to take with you out into the world. 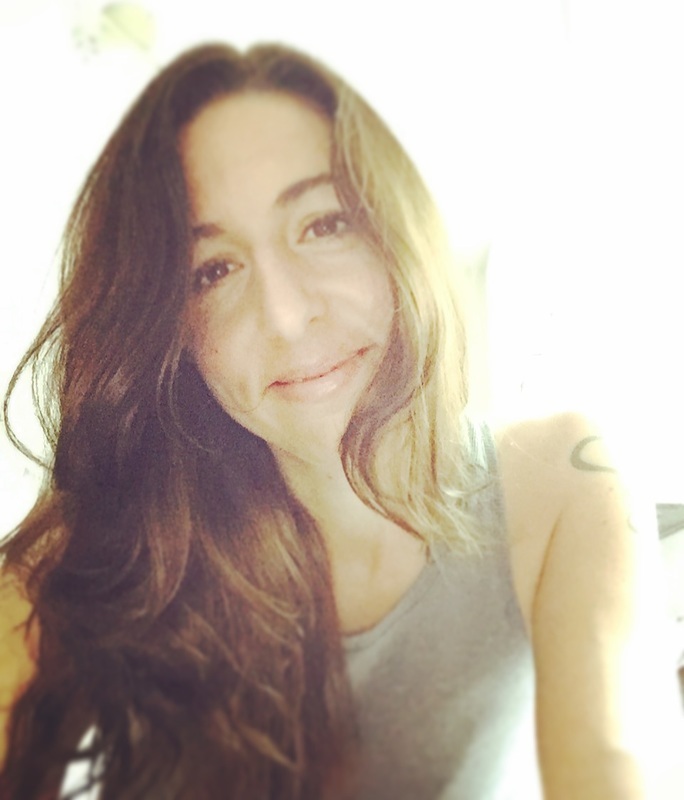 Jess DiLorenzo: Jess offers yoga with a bright open heart and playful spirit. Her mission is to empower students of all ages, drawing out the unique gifts and luminosity that already exist in each of our hearts. Her journey as a yoga teacher began in her elementary classroom, where she discovered the power of three part breath and sun salutations as tools to ground and settle students’ anxiety. When she discovered adults, like children, also thrive when they feel empowered and free to take risks in a safe and loving environment, she answered the calling to teach them too! Jessica was trained in alignment based, therapeutic, heart centered Hatha yoga at Dig Yoga, Lambertville. Her beloved teachers, Sue Elkind, Naime Jezzeny, Mariel Freeman, and Kilkenny Tremblay provided a plethora of experiences that landed Jess right smack in the center of her heart. Yoga has taught her that you already have everything you need to manifest anything you have ever dreamed of! She is honored to share her joy and enthusiasm for this practice with the Rosemary Court community and beyond. ​Arlena Dominick: Arlena Dominick found her way to Bikram yoga 22 years ago in an effort to heal from a traumatic spine injury sustained when a car hit her on her bike. Through yoga she found immediate relief from daily physical pain and gained mental and emotional clarity. She began teaching in 1995 as co-owner of a St Petersburg, Florida Yoga studio. She trained in several traditions, but resonated most with Kundalini. She concentrated her studies in this discipline and completed her first certification in 2009. She also specializes in prenatal yoga, having completed the Kundalini Pregnancy Teacher Training. Arlena honors the teachings by honoring her students. Her goal is to uplift and inspire. Stacy Fradkin: ​Stacy's introduction to yoga was in the blazing heat of a Bikram Studio in 2010. After four immersive years of gaining flexibility Stacy was diagnosed with Thyroid Disease and Adrenal Fatigue. Taking a break from the hot room, Stacy discovered Thyroid Yoga® and ventured to Venice California to become teacher certified. The training took place in a Kundalini studio and the rest is history! The mind-body-spirit balance offered by the Kundalini experience has healed and changed Stacy from the inside out. Having completed her 200 hour Kundalini teacher certification in June of 2018, Stacy is thrilled to be a conduit of these powerful teachings. In addition to teaching Thyroid Yoga®, Stacy is also an Eating Psychology Coach. Rebecca Harp: Rebecca has completed 200 hours through Garden of the Heart Yoga Teacher Training Course and is 200 RYT through Yoga Alliance. She is also a Certified NeuroMuscular Massage Therapist and a Certified Reflexologist. She has had her own practice for 10 years and has been practicing as a Massage Therapist locally in Sarasota for 16 years. Her passion for yoga began her first day in the massage therapy program at Florida College of Natural Health, where she experienced her first Surya Namaskar, salute to the sun. Since then, she has practiced with a wide range of yoga instructors here locally and became inspired to go through an intense alignment based training at Garden of the Heart using principles of alignment from the style of Anusara Yoga. She very much values these principles and hopes to create a wonderful yoga experience for her students. Meredith Kaplan: Meredith’s style of yoga has been strongly influenced by John Friend and Anusara. Classes weave physical alignment with uplifting themes, bringing each student a greater experience of joy and peace in body, mind, and spirit. Restorative classes focus on calming the mind and nervous system using very gentle passive poses that nurture and restore balance. Laura Mahoney: Laura Mahoney has a fitness background as a Personal Trainer and has been a Yoga Teacher since 2000 and is 200 hour certified. She teaches Vinyasa Flow, Hatha, and Yin styles of yoga and often blends them together in the same class making an eclectic style. She has embraced yoga as a lifestyle and lives the 8 limbs of yoga so that depth of experience comes through in her teaching. When you attend her class you are taken on a journey that touches all aspects of your being - body, mind, and spirit. Taryn McGannon: Taryn grew up in Sarasota, dancing, running and playing volleyball. She discovered yoga in college, when her roommate brought home a “Yoga for Beginners” DVD. After practicing at home with the DVD for nearly a year, she braved her way into a (very packed) donation yoga class in New York City, Yoga for the People. Taking class from different instructors, with different styles, cues and backgrounds was a breath of fresh air! After traveling the world for nearly three years, Taryn found herself back in sunny Sarasota and dove deeper into her yoga practice. Wanting to know more about anatomy and yogic practices, principles and philosophy she completed her 200hr RYT with Pure Yoga in The Dalles, Oregon. The combination of breathe and movement with music has enabled Taryn to cultivate consciousness, inner peace and self-gratitude, love and healing. The practice of yoga continually shows Taryn that nothing is impossible, on or off the yoga mat! She enjoys creating a dynamic flow of energy with music, breath, and support and relishes the opportunity to learn and grow with her students. In her free time, she loves traveling, reading, learning and spending time with loved ones. Victoria Ochoa: Victoria Ochoa teaches yoga to adults and children throughout Sarasota. Her yoga journey began early in college. Since then she has maintained an intentional practice of daily self-devotion and healthy life choices. She discovered Kundalini yoga five years ago and pursued it looking for a way to enhance her breath and authentic feeling of happiness. It was an instant click which led to a KRI certification as a Kundalini yoga instructor at Prana Yoga and Healing Center – according to the teachings of Yogi Bhajan. Kundalini is the yoga of awareness. It is a technology that works on the total energy of our body through breath, postures, meditation, and mantra. The most important part of it is our self-discovery. Her own self-discovery resulted in a complete life shift from a marketing professional at large multinationals to a health advocate and yoga teacher. Victoria focuses on inspiring people to reclaim their right to the highest feeling of wellness and the happiness that comes with it- which is her own life’s principle. She is soon to get certified as a health coach from The Health Coach Institute of San Francisco. Victoria also holds a specialized masters in marketing from EAFIT and a bachelors in business from the Catholic University of Pereira, Colombia. She is a proud mother of two amazing children, which are her infinite fountain of love. “Everyone is a house with four rooms; a physical, a mental, an emotional and a spiritual, we tend to stay mostly in one. Every day we must visit each room to be complete.” Indian proverb. That is what the practice of Kundalini yoga does for us. Barbara O'Toole: ​Barbara completed the International Teacher Training Certification in Kundalini Yoga, as taught by Yogi Bhajan, in 2013 through Yoga Village in Clearwater. She had practiced Hatha and Anusara style yoga for many years, but when she discovered Kundalini eight years ago, she knew she had found a home. Kundalini has it all; the physical and mental challenge along with the calming and spiritual side of breath and meditation. Each class is a new journey to open up and allow your true potential to shine through. Sharing these teachings so that others can benefit and find their potential is her goal. She lives in Bradenton with her husband, two Labradors and three cats. Angela Rauter: ​Since the age of 4 Angela has expressed herself through movement. Dance was her first love, growing through her adulthood to a career as a professional contemporary dancer. Throughout her career she incorporated yoga and Pilates as a form of cross training, mental focus, and relaxation. Angela became certified as a Pilates instructor in 2003. This was her first step toward her dream of becoming a holistic healer. She has since become a Licensed Massage Therapist, Acupuncture Physician, Doctor of Oriental Medicine, Educator, and certified Arvigo Practitioner. Through all of her life journeys, Pilates and yoga have been a way of returning home. The mat is her place of solitude and sangha, introspection and expansion, strength and santosha. She enjoys sharing the power of our body, mind and spirit through movement and healing to create balance in ourselves and the world. Michelle J. Roy: Michelle Roy is an RYT-certified yoga instructor with more than 15 years experience. Her system is alignment-based, teaching each student how to safely move and arrange the body for each pose. Michelle’s yoga instruction is heart-felt, empowering and introspective, providing an atmosphere in which each student can explore the practice free of competition and judgment. 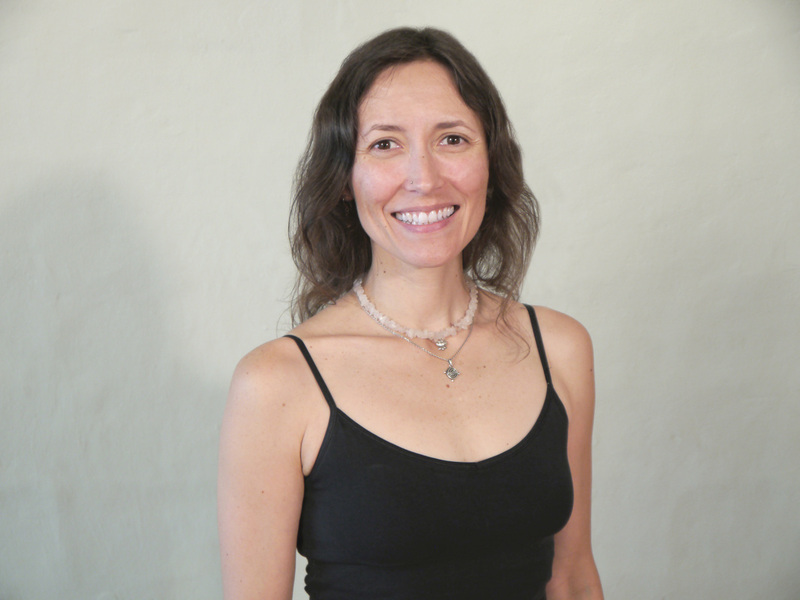 Her extensive anatomical and therapeutics training, combined with her skills in other healing modalities, offer a more holistic approach to the yoga practice. 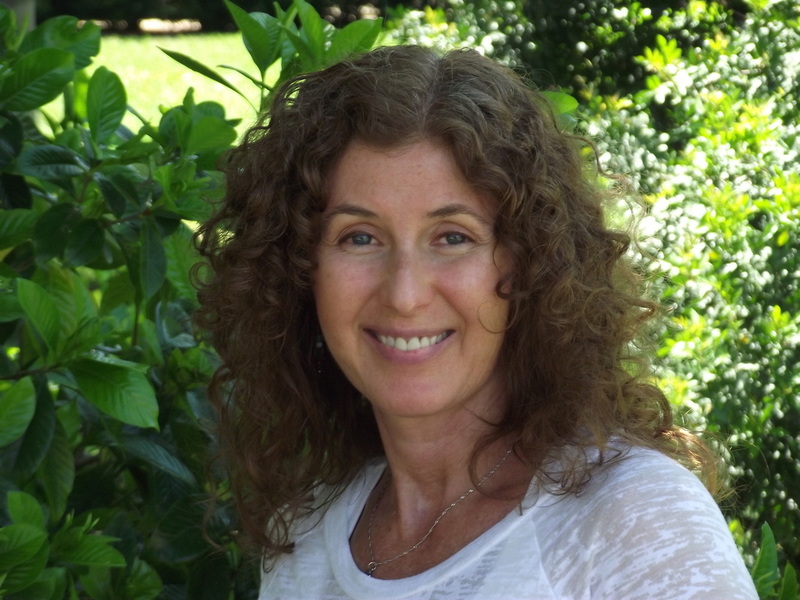 Valerie Scheiderman: Valerie Schneiderman (ERYT - 500) has studied and practiced ashtanga yoga for the past 25 years. Under the guidance of many exceptional teachers, including Tim Miller, Beryl Bender Birch, members of the Jois family and many others, her individual teaching style has been nourished and developed over time. Valerie believes that yoga practice is open to all, and she actively seeks to dispel the misconception that a student need be physically flexible in order to practice yoga. The traditional yogic teaching of mindful movement, breathing technique and meditation are of benefit to all interested practitioners, regardless of age, technical ability and/or level of experience. At its heart, Yoga is about getting to know ones true nature...a place of joy, stillness, abundance and well-being. Valerie's goal as a teacher is to share with others, the traditional teachings that have been transformational in her own life...those practices which enhance and support mental, physical and spiritual growth and well-being. It is with a deep sense of gratitude and commitment to the teachings, that she shares this practice with interested students. Liana Sheintal Bryant: Liana truly lives her yoga both on and off the mat. Joyfully dedicated to her practice and her students, Liana empowers all who come to yoga to live it as fully and as happily as she does, whatever their level of fitness or experience. Known for her bright smile and infectious warmth, Liana infuses her classes with the same spirit of nurturing care. With a background in gymnastics and college cheerleading, Liana soon discovered her passion for yoga after graduating from the George Washington University in 2002. After four enjoyable years working at the John F. Kennedy Center for the Performing Arts, she has now made yoga her full time career. 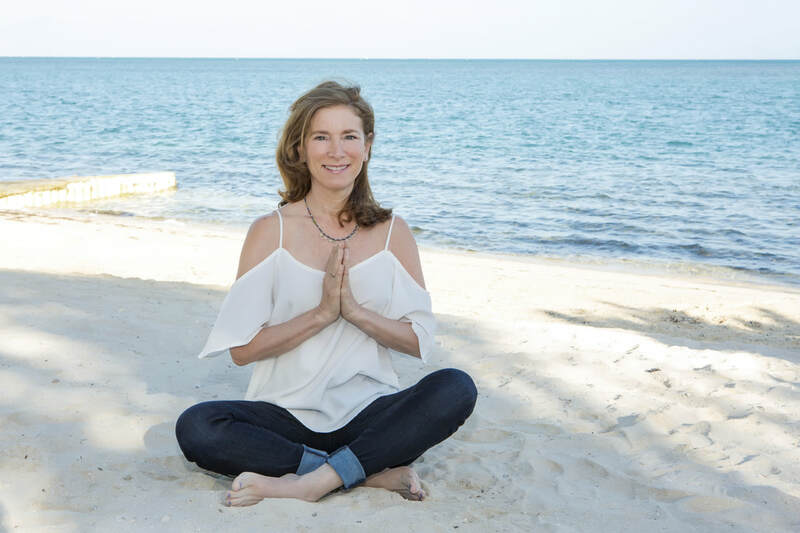 Previously a YogaWorks Studio Manager in New York City, Liana has now returned to her hometown of Sarasota, FL and in addition to teaching her beloved classes, she is also the Rosemary Court Yoga Director. She is an active part of the yoga community, and after helping to launch the lululemon athletica store openings in the Washington, DC area by serving as one of their first Ambassadors, she was honored to return to Sarasota and be invited to serve as an Ambassador there as well. She is also a Product Ambassador for Manduka. She has completed the YogaWorks Teacher Training Program and is a 500-hour Experienced Registered Yoga Teacher (E-RYT 500) through Yoga Alliance. Liana has drawn inspiration from all her teachers, including Jenny Aurthur, Erika Hildebrandt, and Kino MacGregor. For more information about Liana, visit her website at www.lianayoga.com.